Refrigerator repair, oven installation, gas range service, dishwasher maintenance, freezer troubleshooting! 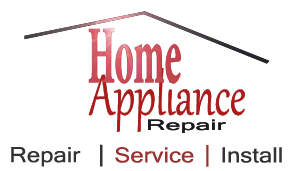 Name your problem and let our experts in kitchen appliance repairs to help you out. There is no discrimination among kitchen appliances. They are all too important to not work right. Fridges are actually the kings of each Ontario kitchen, but who can live without a stove, microwave, dishwasher or oven these days? If you want to enjoy your kitchen appliances for many more years, depend on the services provided by our Appliance Repair in Milton, ON. Our team is excellent and ready to respond to your calls. Do you want gas oven installation? Is there a problem with your fridge? Do dishes come out of the dishwasher cloudy? Leave everything to our professionals. We let you back into your kitchen by simply taking care of your appliances. We provide small appliance repair, troubleshoot the reasons for the dishwasher not washing well, change the worn water filters of your fridge, replace the freezer seals, repair the stove and fix all oven problems. You can trust our work and team because we fully cover your home appliance repair needs, help in timely fashion and show up at your home on time. The appliance service technicians of our repair company are always equipped in order to check the recent problem and fix it right away. We can also help you avoid appliance problems and energy loss by offering preventive maintenance service. Our professionals can inspect your kitchen appliances and replace the worn parts before they turn your everyday tasks into a nightmare. 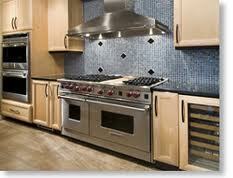 Still, you can rely on us for emergency, same daykitchen appliancesrepair in Milton and also for new installations. Safety standards and specifications are always followed to the letter by our team and that’s one more reason for trusting our appliances repair service. Our working space in the kitchen is left as clean as we find it and every one of our technicians is nice and skilled to carry out the most demanding service in Milton.